Leadership is one of the most important qualities of this quickly-changing society. Colleges search for it. People respect it. Even from a young 12 year old child, the world demands it. This is my experience in Scouting. So let’s begin. I first started scouting in 5th grade, about a year ago. I can still remember that very first day. I was astonished at the lack of adults in the Troop (the group of scouts). As a matter of fact, there were basically none. It seemed chaotic… I mean, without adults, can children actually form order? But, all this was on first glance. 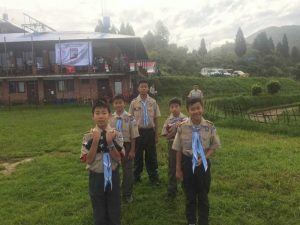 When I looked deeper, I realized scouts was about child leadership. Later on, I began to learn about the smaller groups (patrols) and how they organized their own camps, the member-elected child leader (SPL), and the various different positions available. 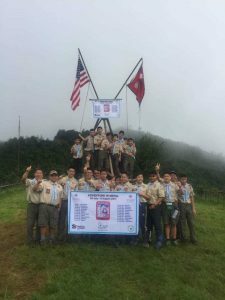 Even at such a young age, scouting encouraged us to become leaders. Fast-forward in time, and I’m already First Class, the rank where one begins to take on leadership roles. Almost immediately, I became Instructor, since I was well-known in my troop for my knowledge of knots and other fundamental skills. Leadership comes with problems, and being Instructor had those problems too. The first thing I noticed was that to teach a group, you had to first get their attention and then, maintain it. Being immature, it wasn’t long before younger scouts would start poking each other with long sticks. Battling through this and maintaining order was a big part of my leadership growth. Even harder, however, was gaining their respect. 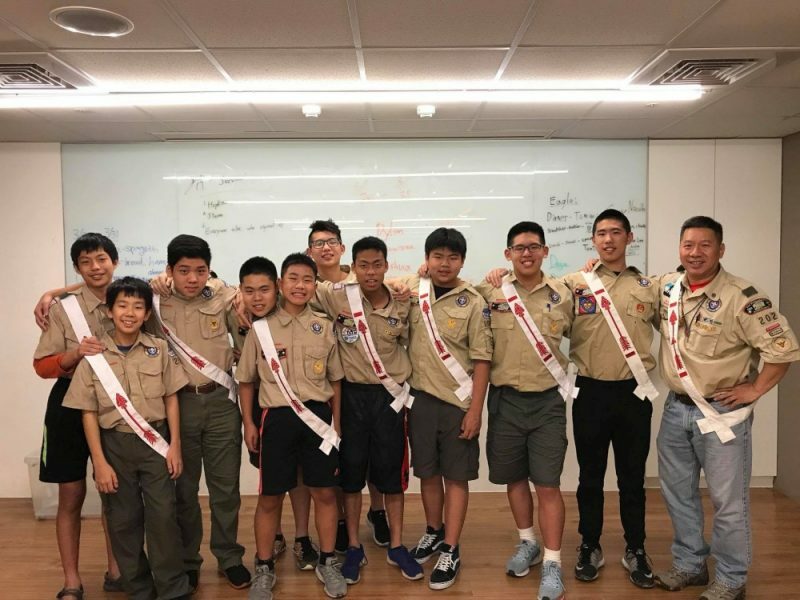 When I mentioned younger scouts, I actually meant those of lower rank. This sometimes meant that there were 7th or 8th graders who I had to teach. They scoffed at the idea that a kid a head shorter than them and a year younger, was their instructor. I remember once, when I was teaching some scouts, they called an older scout over, one of their age group and listened only to him. It was demoralizing. However, I kept persevering. After a few classes, I was respected, and they realised that I knew what I was teaching. By demonstrating my skill, I had earned their respect. Another way I won them over was through delegation and communication. At first, no one cared about the essential skills. They, again, laughed at the idea. “We live in a city. Be prepared for what? It’s not like we’ll get lost in the woods!” And so I had to explain to them the usefulness of everything we learned. For example, besides being used in outdoorsy activities, knots are very useful. Whether descending a ridge to grab something you dropped, or just for hanging laundry, they are handy. I helped them understand that, and eventually, after seeing the value in it, they wanted to learn more. However, challenges still lay ahead. Again, we fast-forward in time. I’m joining an honor society in Boy Scouts called the Order of the Arrow. In a day-long rigorous test of the heart, each candidate learns skills, as well as the importance of service to others. In the experience, we learned about how to lead. We discovered that there are two types of leadership. One where you appease the ones you lead by helping them and being flexible. You bend rules to help people and avoid hurting their feelings. However, this strategy is not the best in the long-term, and though you may gain friends, the troop is hurt by your ‘contributions.’ The ones you lead will become spoiled and weaker in the long run. We learned that being a successful leader is, in reality, lonely. By being harsh on your friends, you help them grow. If you force them to practice and actually learn a skill, they will hate how hard they have to work for it. However, in time, they will learn it, and despite thinking badly of you now, they will thank you in the long-term. To conclude, leadership is like parenting. Not spoiling those you lead, helping them grow, earning respect, getting attention, harshness, and compromise is what being a leader is. Therefore, I am proud of what I do in my troop. What leadership roles do you take? How does it help you?